Wood Boat People, Connect with other Enthusiasts. For many boat people wooden boat building and renovating can be a lonely pursuit. This can be particularly so for back yard builders. So, Please share your Project with us, we'd love to hear about it. And lets hear it from all you Wooden Boat Women. It's unfortunate that the vast majority of boats around today are plastic. Thankfully there are also many wooden boat enthusiasts. There are even some professionals building wooden boats. The problem is that they tend to be hidden away. Many people build or renovate a wooden boat because they have a dream. Whether that dream is to build a yacht in order to sail the world or a row boat for fishing the dream needs to be kept alive. To keep the dream real it is worth discovering how other boat people have done it. Sometimes the 'how to' gets in the way of your dream and the dream begins to seem impossible. This is precisely the time you need access to information and inspiration. The best inspiration comes from people like yourself, who have been where you are and yet gone on to finish that wooden boat project. Clubs are where like minded boat people tend to congregate. They also tend to be self help organisations. Boating and sailing clubs will often have their own moorings and facilities. While facilities may be basic, club fees will be a lot cheaper than those charged by commercial marinas and boat yards. Do you know of a club where wooden boat builders and renovators and other boaters are welcome? Apart from the national sailing associations there are numerous preservation societies. If you are in the process of restoring a classic boat you will more than likely find that there is already an association dedicated to you particular boat type. These are often a storehouse of information. And they are usually run by boat people with lots of expertise. This specialist knowledge is going to be especially valuable as it will be pertinent to your boat rather than general boat knowledge. And it will often come cheaply, usually just a small subscription fee. There are no end of Forums by and for boat people and forums on most subjects. In the majority of cases the forum members will be very helpful. They can often help you with a specific problem,even if you haven't been able to find an answer elsewhere, especially where the forum is dedicated to a specific design of boat. On a good forum you are sure to find someone who has had the same or similar problem to those you need answers for. There will also be others willing to offer suggestions. Forums can also lead you to those small hard to find websites and blogs. However, forums do vary and the majority do require that you sign-up and provide your email address etc. 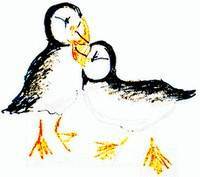 Here at DIY Wood Boat you can ask questions, provide answers, tell us about your boat or spin us a salty yarn without the need to sign away any of your privacy. However I do moderate the posts closely so only wooden boat related subjects are allowed. Like the best forums we do try to stick to the specific subject of wooden boats for boat people. The internet is awash with information on every subject known to man. The problem is that finding the information you want isn't always easy. Search engines such as Google depend on SEO (search engine optimization). The problem is that the sites we, as self builders of wooden boats want to find aren't usually built with SEO expertise. 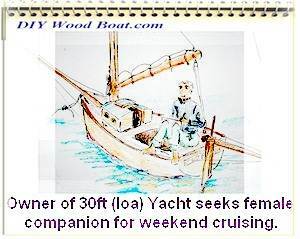 Click here for links to some more Wooden Boat Websites. Ever thought about building your own site? Numerous wooden boat enthusiasts have started blogs about their project. However these, as well as privately owned websites rarely show up in search engine results. As a result there is a host of interesting informative stuff on the web which is rarely seen by those who might find it useful. Why not turn your blog into a website? Have you got a blog on your wooden boat project or know of a good one by someone else that other boat people would find of interested? Wooden boat shows are increasing in popularity every year. Many of these events are hosted by Antique and Classic boat associations. These tend to specialise but they also hold rallies and races for their members. There are a growing number of commercial shows which, while appealing to a wider audience do have sections dedicated to wooden boats and boat people. Entry fees for the smaller more specialised shows are normally low. The Southampton Boat Show is one of the major UK boat shows. It is a commercial show so the emphasis is on shiny plastic. However it does host a wooden boat section. The 38th Annual Steamboat Meet at Lees Mill, Moultonborough, New Hampshire. This show began life as the Wooden Boat Show. Fortunately the emphasis is still on small wooden boats and their builders, both professional and amateur. The Jester Azores Challenge 2008 is one of my favorite race events. But then I am biased towards the Jumk Rig. The attraction of this event is its amateur status.You wont find any big money commercial entrants in this race. The next Jester Challenge is due to set off on the 23rd of May 2010 from Plymouth, UK bound for Newport, RI. Have you been to a favorite Show of Event? I would love to hear about it. There are several good books on the market which cover all aspects of wooden boat building and renovation. Unless you live close to a good boating book shop you will probably have to buy on line. However, not every book will be pertinent to your situation. Fortunately it is possible to browse inside many books on certain websites. I have found that sometimes, just one or two items in a particular book were sufficient to justified the initial price, even if the rest of the content was disappointing. "Practical Junk Rig" by H G Hasler and J K McLeod. "Voyaging on a Small Income" by Annie Hill. Books By Lin and Larry Pardey. Books in the WoodenBoat Series.